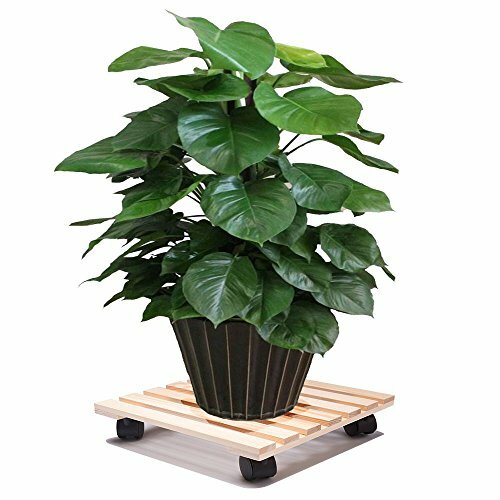 Tosnail 12" Square Wooden Plant Caddy Plant Stand with 4 Wheels (2 with Locking Caster)Size: 12" x 12" x 3"; Holds up to 50 lb.Smooth wheels make planter move easy.4 independent wheels, 2 locking caster to keep caddy securely in place.Constructed of unfinished natural wood allows DIY painting on it; adds a stylish and nature touch to your home.Ideal for indoor and outdoor use. 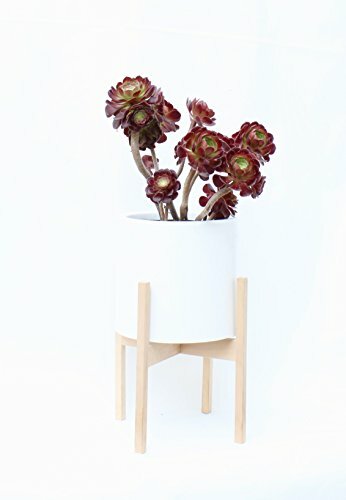 Give your planter a home of its own in a our plant stands. Available in two sizes and two finishes (colors) to fit your pot. 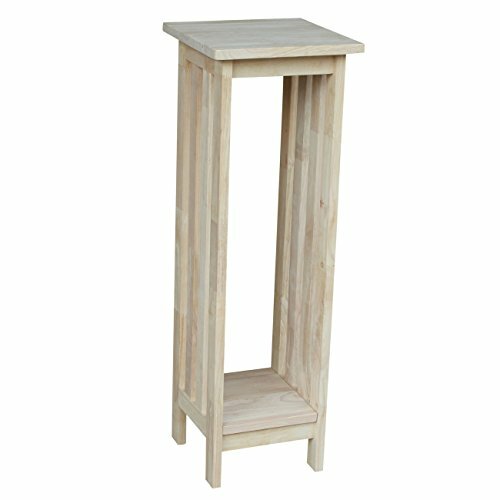 This listing is for a natural light wood plant stand that will fit a 12" diameter pot. Please note: Pot is not included. Handcrafted in California. Made of Solid Wood, meaning each piece is unique unto itself. Small stand will fit a pot with a diameter of 10.5" or smaller Large stand will fit a pot with a diameter of 12." or smaller Available in three finishes: Walnut, Light Brown, or Natural. Easy, One-step Assembly. This stand ships disassembled. One tree planted with each purchase of this set. Learn more about our "Plant it Back" commitment below. PLANT IT BACK TO GET OUR PLANET BACK PROGRAM We firmly believe that design and sustainability should not be mutually exclusive. Besides receiving a high quality product and reaping the numerous benefits of living with plants; enjoy the peace of mind that comes with purchasing from an eco friendly company that vows to plant a tree with each purchase. The more you shop, the more trees we plant. Help us to plant it back to get our planet back! 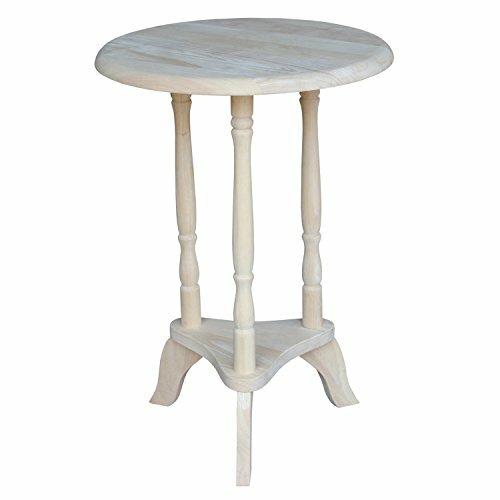 Pictured in natural finish. Optional play stand silk drape and two wooden clips. Metal to metal connectors for long life and safety. Certified by National School Supply and Equipment Association. 16 CFR 1500, 16 CFR 1303 and ASTM F963 compliant. Warranty: One year. Made from solid pine wood. Made in America. Minimal assembly required. Wooden clips: 4 in. L x 1 in. W x 5 in. 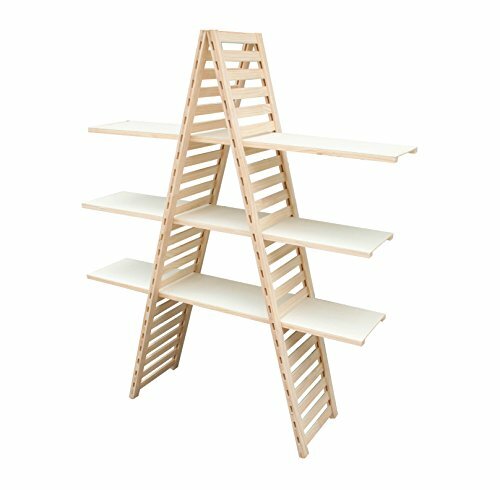 H. Play stand silk: 3 ft. L x 7 ft. W. Shelf: 36 in. W x 11 in. D x 14 in. H. Overall: 39 in. W x 14 in. D x 36 in. H (18 lbs.). Assembly Instructions. 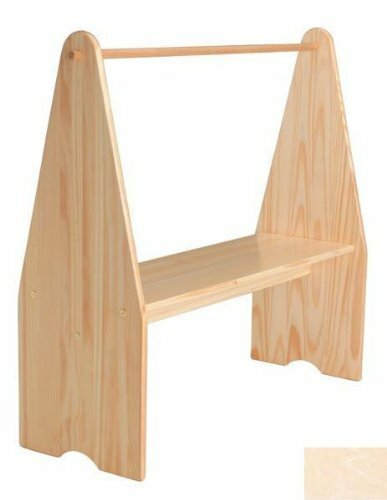 This is the finest quality Play Stand with tried and tested design. This is a versatile creative play accessory for home or school use. 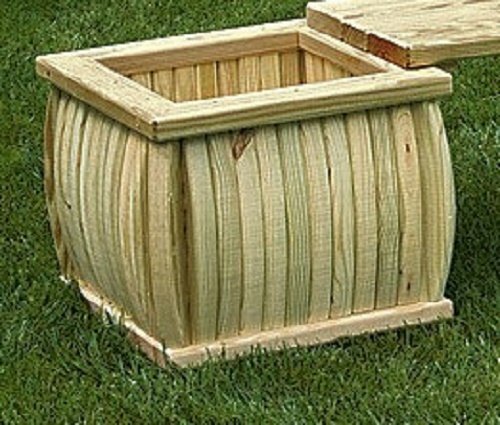 This curved square planter would make a great addition to any patio, backyard or outdoor garden. 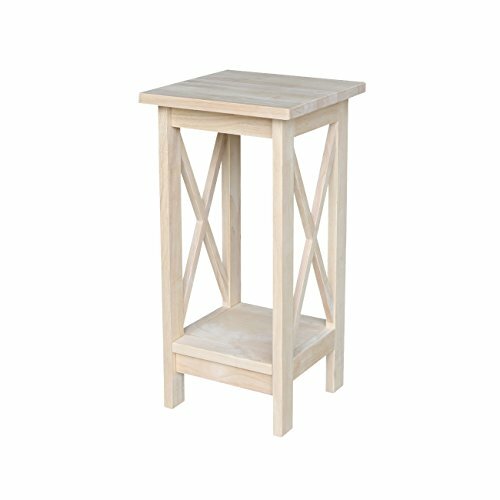 Description of wood used: All of our wood furniture and accessories are made from high-grade, hand-selected lumber that's dried and resurfaced with rounded edges for safety, comfort and ease of customer maintenance. Lumber is harvested in United States by companies who have sustainable environmental programs in place. Our treated wood uses non-arsenic based, environmentally safe preservatives to combine the natural beauty of real wood with proven long-lasting resistance to termites and fungal decay. It can be painted or stained as desired. Warranty: All products are guaranteed for two years against defects in the manufacturer's workmanship or materials. In addition, treated wood carries its own warranty against decay and termite infestation. Consequential damages are limited to repair or replacement of the defective component. No other warranties of merchantability are made by the manufacturer. The manufacturer's products are not warranted as being suitable for a particular purpose. The suitability of products is for the purchaser to determine. The manufacturer reserves the right to make design and construction changes without notice.